Nov. 4, 2017 5:49 p.m. 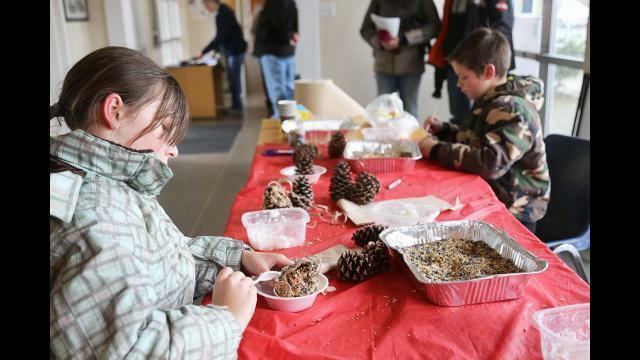 The Great Blue Heron Nature Reserve hosted a feeding and observing winter birds workshop Saturday in an effort to raise awareness and recruit help for Project Feeder Watch. At regular intervals during the winter FeederWatchers count the kinds and numbers of birds at their feeders. This data is then submitted to Project Feeder Watch helping scientists study winter bird populations. Saturday’s family-friendly event had educational and fun activities about birds and feeders for all ages.